Have you ever noticed how certain cuisines, in their philosophies and primary components, are innately more healthy than others? This is especially true of the classic cuisine of Thailand. Have you ever noticed how certain cuisines, in their philosophies and primary components, are innately more healthy than others? This is especially true of the classic cuisine of Thailand. The pursuit of harmony and balance, the preponderance of grains and vegetables and herbs over lesser portions of meats and fish, and the emphasis on fresh ingredients - all these contribute to a remarkably healthy and immensely flavorful mealtime. The flavors of Thai food are complex, deliberately so. Every dish should have at least three or more of the five fundamental taste senses: sour, sweet, salty, bitter, and spicy. 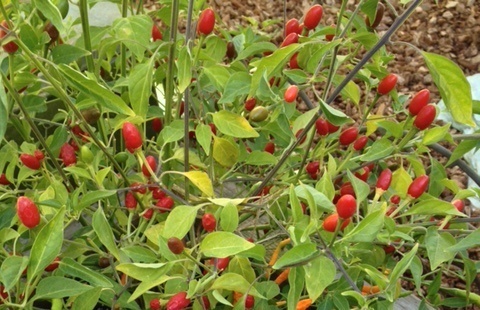 These might be provided, for example, by kaffir lime (sour), palm sugar (sweet), nam pla fish sauce (salty), Holy basil (bitter), and bird's eye chilies (spicy). The goal is to create sensations that play one against the other to allow the emergence of an harmonious whole. The ingredients common to Thai cooking provide an additional benefit as well - they are often blessed with medicinal properties. Ginger has long been proven to provide multiple gastric benefits; hot chili peppers contain capsaicin, which has significant anti-inflammatory properties; and lemon grass is used in Ayurvedic medicine for nasal congestion. The heart of the meal is the grain, specifically rice. It might be jasmine, white & sweet, or red rice, rich in anthocyanins, or black rice, sticky & blessed with antioxidants. It would be served with numerous dishes, most of which would emphasize vegetables, with small portions of fish, chicken, or beef being the most common protein sources. Fresh herbs would be liberally scattered over many of them. Embellishments would include various sauces and sambals and condiments, contributing more notes to the harmonious interplay of the five fundamental tastes. And here's the thing: you don't have to school yourself in traditional Thai dishes in order to enjoy the pleasures and benefits of this cuisine. Use the basic tenets and many of the readily available ingredients to create your own culinary riffs. Try different types of rice, or branch out into other grains like quinoa and freekeh. Surround your grains with small amounts of quickly-cooked protein and generous helpings of vegetables. 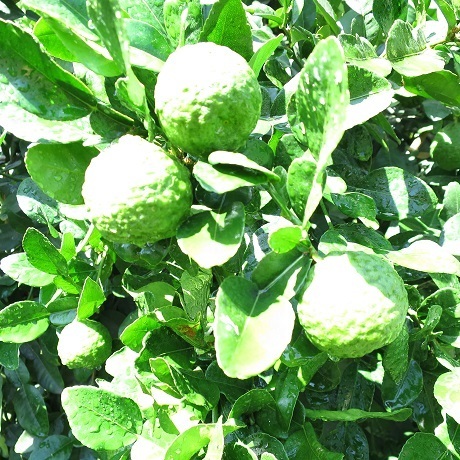 Use fresh ginger and lemon grass and kaffir lime to brighten a soup or punch up a stir-fry. An especially easy and delicious notion is adding small side dishes to quickly embellish and complement your primary dishes. Chop some cucumbers with mint leaves, minced hot chili, a dribble of honey and a splash of vinegar; or stir together a little coconut milk and nam pla with minced lemon grass and ginger and garlic. These accents lend depth to your meal, and contribute to providing the harmony and balance of the five fundamental tastes. Oh, and that slightly dry, brown-skinned ginger that is on offer at your local supermarket? 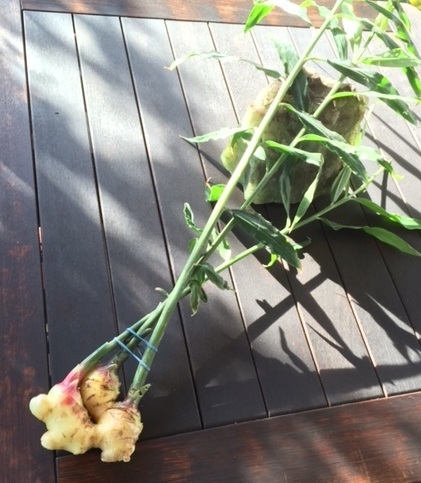 It's all well and good, but if you can find fresh young ginger - so much the better! Try your local farmers market or health food store. 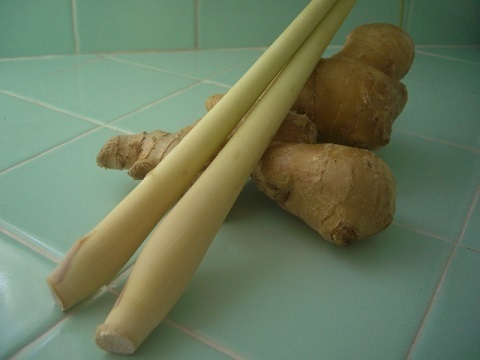 It will often come with the stalk and leaves still attached; so in addition to enjoying the sweet moist root, use the stalk as you would lemon grass, and the leaves for a marvelous ginger tea. Simple in its emphasis on fresh and healthy ingredients, and complex in its interweaving of tastes and textures, Thai cuisine is a perfect place to begin exploring the pleasures of Asian tastes. This fresh-tasting offering can be a stand-alone appetizer, or part of a multi-dish meal. Combine all dipping sauce ingredients in a large glass jar, shake well to combine. Refrigerate for a few hours or overnight to allow flavors to merge. Toss together shrimp, cucumber, green onions, carrot, & cilantro. Divide among lettuce leaves and roll up leaves to make a hand-roll. Serve rolls w/ small bowls of dipping sauce on the side. In a medium saucepan, combine coconut milk, water, & nam pla, bring to a boil. Add rice and reduce heat, simmer until all the liquid is absorbed, about 13 minutes. Remove from heat, let rest for 5 minutes, then stir with fork to fluff. Heat peas, add to rice and stir gently to combine. Transfer to serving bowl, sprinkle w/ mint, and serve.